Qantas Airways is using high speed satcom and avionics software upgrades to enable a new level of aircraft e-enablement across its commercial flight operations. Gate to gate aircraft data transmissions using hybrid satellite connectivity and 3G/4G links is becoming the new reality inside the connected flight decks of Airbus A330s and Boeing 737s in Australia. Here, Avionics International analyzes how Qantas Airways is using satcom and avionics upgrades to transition into a new era of e-enabled flight operations and predictive maintenance. 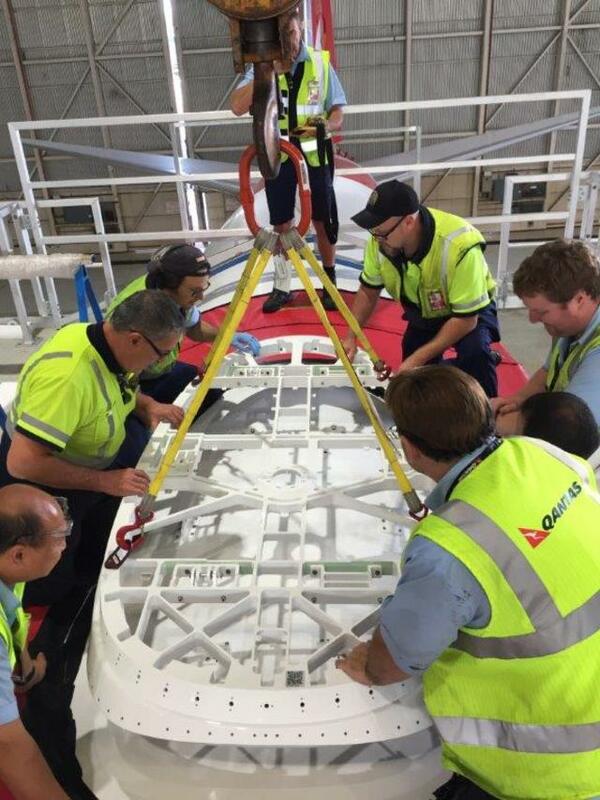 The journey to enabling Qantas’ new connected cockpit strategy began in 2016 when the airline agreed to a deal with ViaSat to upgrade its B737s and A330s with a hybrid Ku/Ka-band antenna providing access to their first, second and third generation Ka-band and Australian domestic broadband provider NBN’s Ku-band satellite networks throughout the continent of Australia. While that agreement was geared toward providing in-flight internet to Qantas passengers, it would also help to establish a new medium to replace their use of the aircraft communication, addressing and reporting system (ACARS) datalink for acquiring, transmitting and visualizing aircraft and flight operational data. The aircraft upgrade required to enable the use of hybrid satcom involves technicians removing luggage bins and ceiling panels to route new cabling for the aircraft’s antenna, modem server and wireless access points. Most in-service airliners feature four to six access points, including one forward for the pilots. In June 2018, ViaSat obtained a supplemental type certificate clearing the regulatory requirements for adding its antenna, modem, servers and wireless access points to Qantas’ fleet of A330s. Installations are ongoing and will continue into 2019, according to John Daly, vice president of business operations for ViaSat’s aviation division. The idea to use ViaSat’s network to replace ACARS was driven by a variety of factors. Ironically, right around the time that Qantas selected ViaSat and NBN, the airline had recently completed an ACARS over 3G flight trial with Teledyne. Test results from that trial did not provide a business case for making the switch, as it was equal to the performance and cost of paying for the bandwidth to support traditional ACARS messaging. 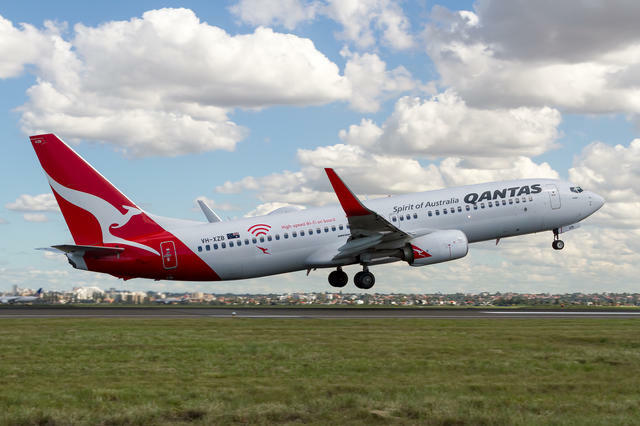 “After we had completed the ACARS over 3G trials, Qantas was evaluating passenger connectivity options and we ended up selecting ViaSat. That’s when the opportunity came. I went back to Teledyne and said this concept you have over 3G, why don’t we try this with broadband? 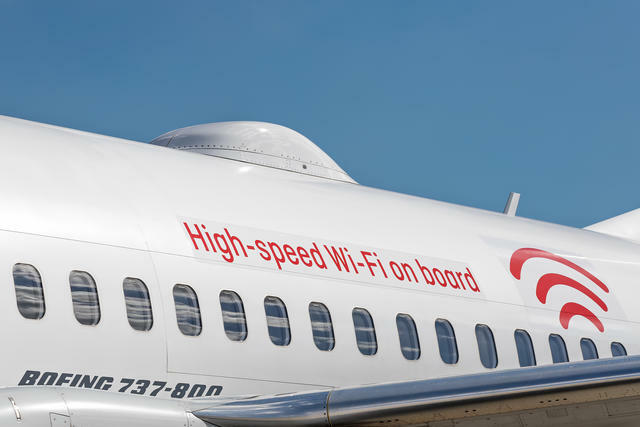 Eventually, there were teams from Teledyne and ViaSat that discussed ViaSat’s connectivity serving as another medium to the aircraft’s communications management unit (CMU),” Peter Alexander, manager of technical programs, Qantas, told Avionics International. ACARS has supported air-to-ground aircraft data link messaging since the early 1980s, providing such things as position updates as well as safety service communications between pilots and controllers. As the amount of data and capabilities featured on in-service aircraft has evolved, the low bandwidth and data communications speeds supported by ACARS has required rapid modernization. That’s why both Sitaonair and Collins Aerospace, the world’s two ACARS data link service providers have both been integrating more internet protocol-based communications media into the traditional aviation specific subscription-based ACARS networks. Under a 2017 Paris Air Show agreement signed with Teledyne, Qantas deployed software upgrades and new wiring kits to upgrade the multi-application functionality of the existing data acquisition, wireless aircraft interfacing and networking computers. This is enabled by Teledyne’s CMU providing a secure air-to-ground interface via the satcom system. Previously, that air-to-ground interface would have featured ACARS, today it features the speedy satcom channel. Airlines in recent years have been investing in avionics modifications to enable more robust and speedier data transmissions at lower costs. That was one of the driving factors in the Qantas ACARS over 3G flight trial. Another factor was that Qantas did not have sufficient geographical coverage in some of the remote areas such as the mining towns they they fly into where they have contracts to transport mining workers to and from larger cities like Sydney. At those locations, instead of sending load sheets, crew departure clearances and notice to aircrew documentation to pilots via ACARS, all of that information was printed manually on paper and physically delivered to and from the aircraft. “We have flights into mining towns, and one of the issues with some of those remote locations was that on the ground there was no ACARS coverage. That used to force us to change our operations such as manually supplying load sheets, crew departure clearances and printed versions of notice to aircrew documentation which normally we do over ACARS. We’re a big user of ACARS and all of those documents we normally send to the flight deck via ACARS. Now, with NBN and ViaSat the pilots don’t experience any difference in operations if they’re sitting in Sydney or in one of those remote locations, because the connectivity is seamlessly gate to gate,” said Alexander. Qantas now has the ability to stream up to 250 parameters to the ground in real-time providing an advanced real-time flight tracking and aircraft monitoring solution with many more parameters and at a faster rate than initiatives such as the Global Aeronautical Distress and Safety System (GADSS) are requiring. Qantas A330 and 737 pilots are in the midst of evolving their flight operational data visualization strategy. Software upgrades added to the existing wireless aircraft interface devices on those aircraft brings the airline into a new era of iPad integration into the aircraft’s avionics network. “We have been using Apple’s iPad as an electronic flight bag ( for the last five years and have become very much embedded within the Apple iOS ecosystem. Being able to add the satellite connectivity to that in combination with the AID+ enables GPS own-ship capability for our pilots using Jeppesen charts. Because the AID+ is connected to the ViaSat system, we get retain general Internet capabilities as well,” said Alexander. Now, with access to the speed of the NBN/ViaSat network and the ability to introduce their own EFB flight operational applications, Qantas is focused on giving its pilots access to visualized and easy to understand weather updates about their flight route in near real time. Specifically, is focused on giving pilots access to a more advanced turbulence alerting mechanism on their iPads. The airline is working with DTN, a Minnesota-based provider of actionable visual data insights primarily through web application programmable interfaces linked to safety critical computers across the agriculture, transportation and other industries.